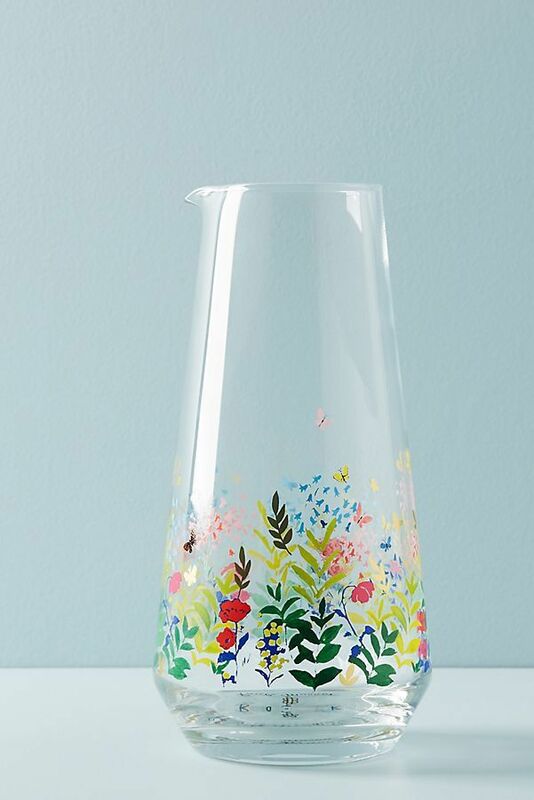 You can always count on Anthropologie to deliver home décor that's equally whimsical and chic and the retailer's latest collaboration is no exception. This time, the brand worked with the editors of Paule Marrot Paris to bring the award-winning textile designer's prints of the past into 2019. Originally a painter, Marrot made a name for herself through her iconic prints and patterns from the mid-1920s to the early seventies. Her work is recognizable across the world and she's even known for inspiring the style of fashion icon Jacqueline Kennedy. In addition to influencing the fashion world, Marrot's cheerful use of color and pattern is also thought to have helped lift the spirits of the postwar world in general. Just in time for spring, the collaboration featuring her signature prints delivers colorful florals and scenes inspired by nature. 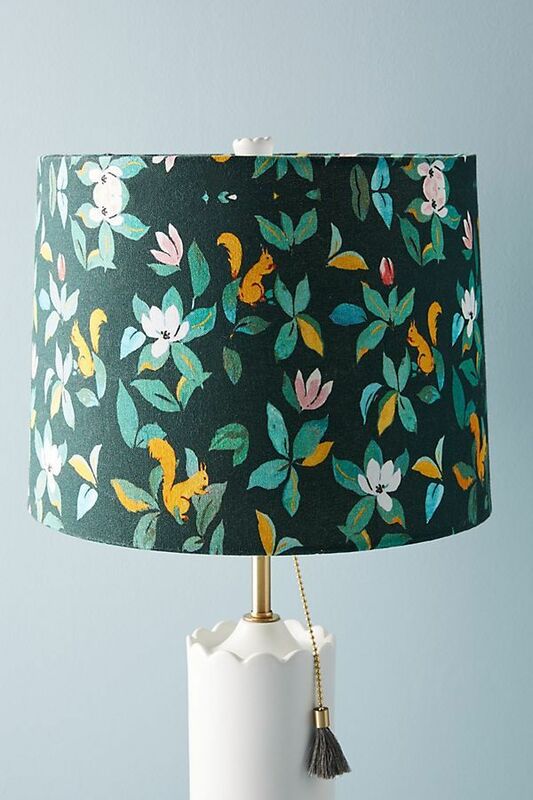 From a bold tufted butterfly rug to a squirrel-adorned lampshade, the line is utterly playful. There's nothing minimal about this collection that brings a French icon's style back to life in an entirely modern way. The eye-catching patterns, amusing prints, and bright colors also build upon the growing resurgence of more maximal design styles, compared to the minimalistic trends that seem to have ruled the last few years. 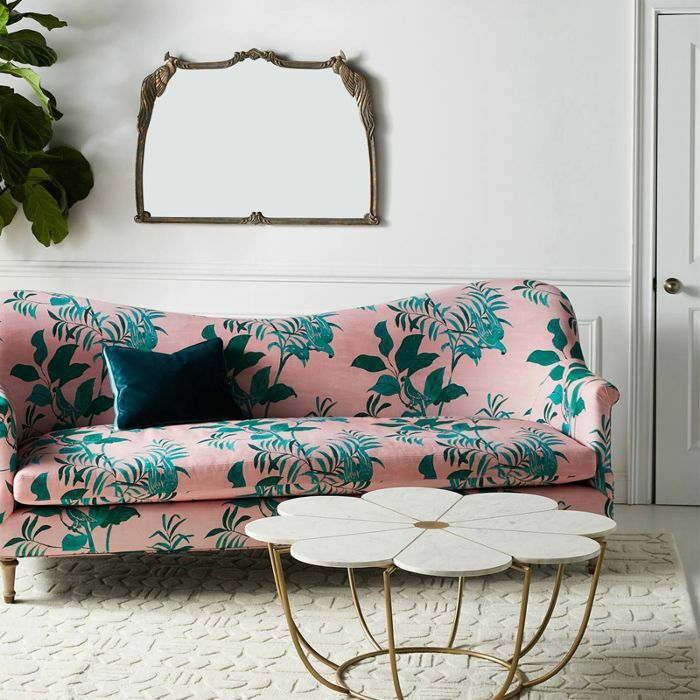 If you're ready to bring a bit of eccentricity and life into your home, shop our edit of Anthropologie's interpretation of Marrot's designs below. 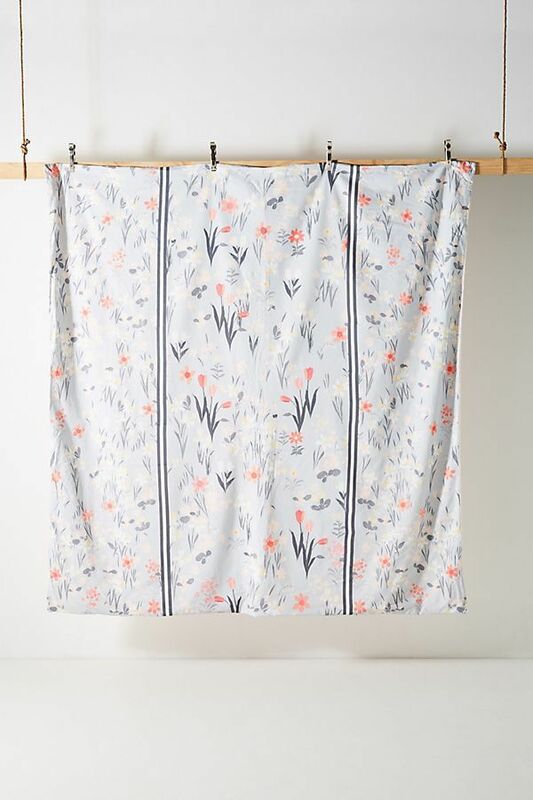 A floral duvet with a subdued color palette is just the thing to bring a touch of spring into your home. The delicate flowers pop against the periwinkle blue background and vertical striped lines give the bedding a modern edge. 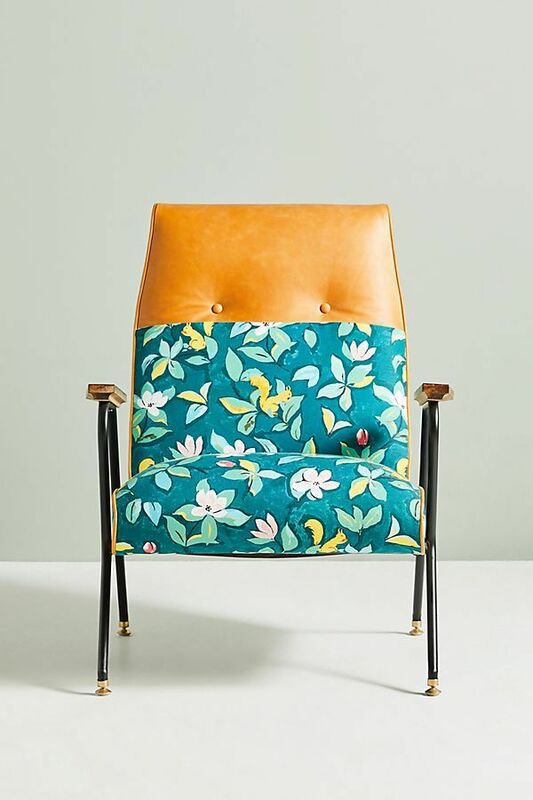 This stunning mid-century modern armchair features Marrot's charming print paired with a leather headrest. The division between the playful print and the traditional leather material is striking. 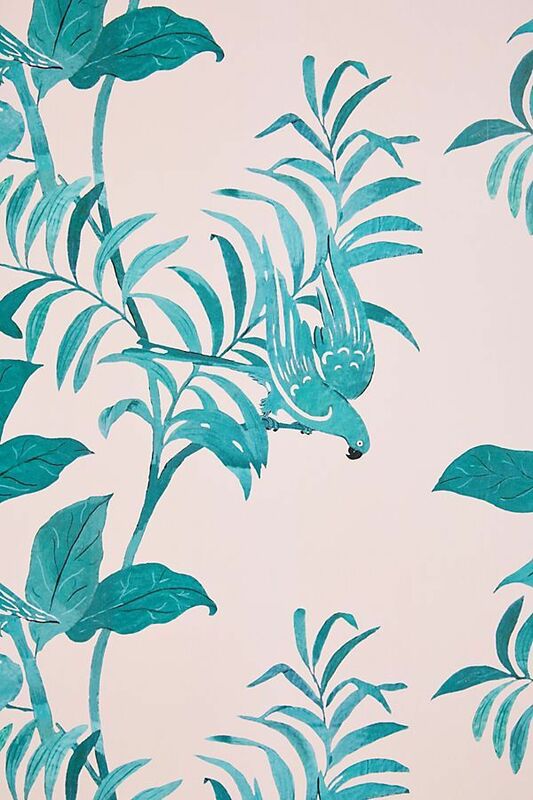 For a bold look, commit to this eye-catching wallpaper. Blue palms and birds stand out against a soft pink background for a cheery design that's sure to make a statement. 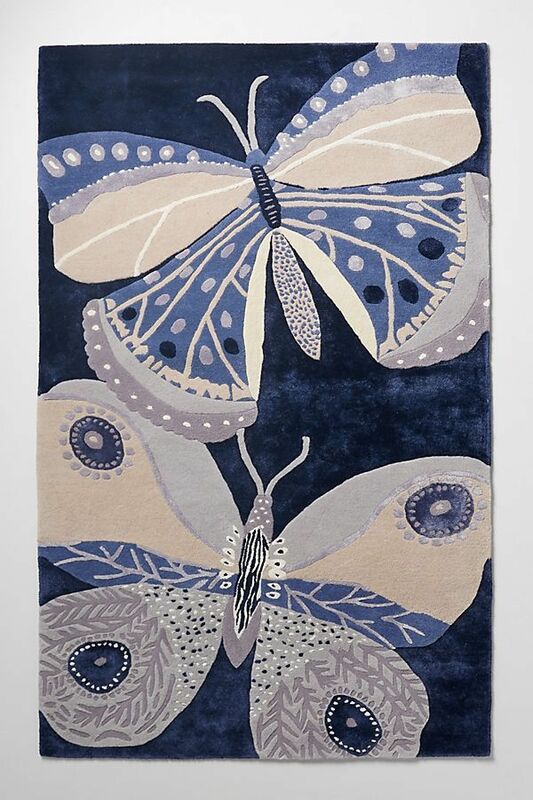 Not for minimalists, this vivid rug depicts two large butterflies with an array of blues and purples. It would look stunning in an otherwise neutral space or even in an eclectic room filled with various clashing prints and styles. 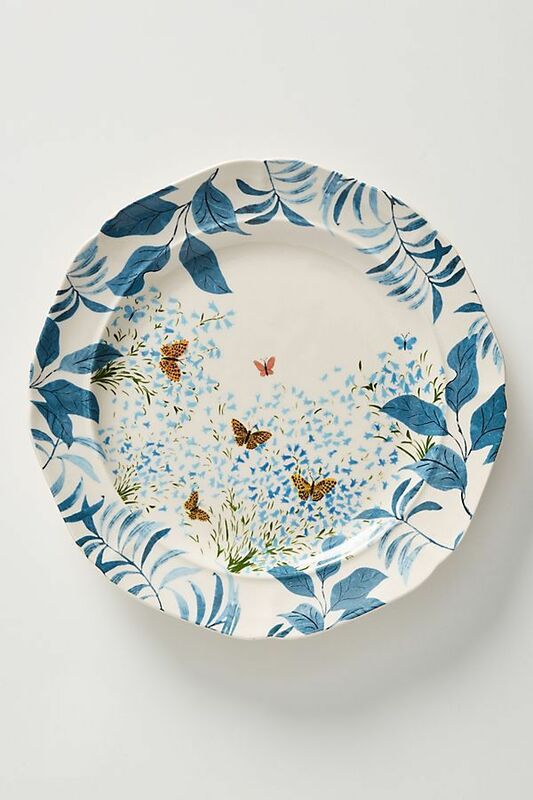 Liven up your kitchen table with these sweet dinner plates featuring blue botanicals and orange butterflies. How could you not enjoy eating a meal on such a lively dish? 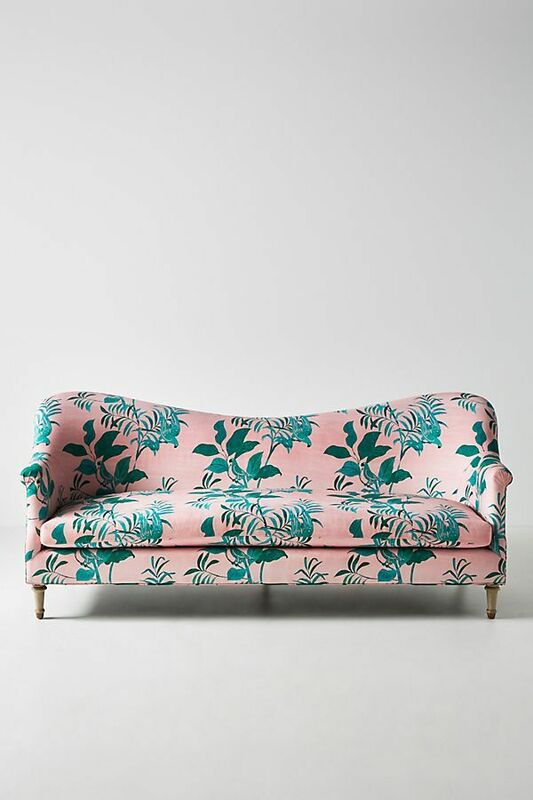 The curved design of this sofa achieves a French-inspired look that's made even more interesting with the use of Marrot's pink and teal print. Just imagine this sitting in your living room. You'll never want to get. For a smaller piece of décor that still made an impact, opt for a textured, floral throw pillow like this. 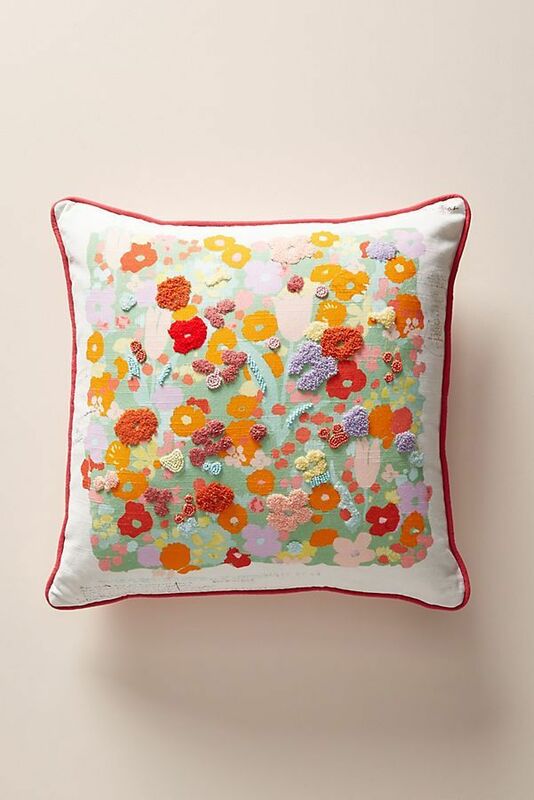 Small pieces of fabric give the illusion that the flowers are blooming right out of the pillow. 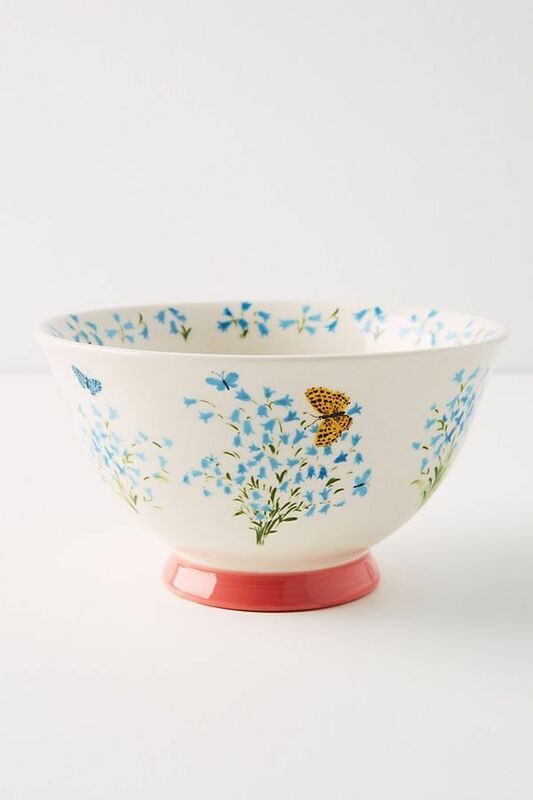 Another pleasant addition to your place settings, this bowl deserves a place in your kitchen. The design is sweet and simple. 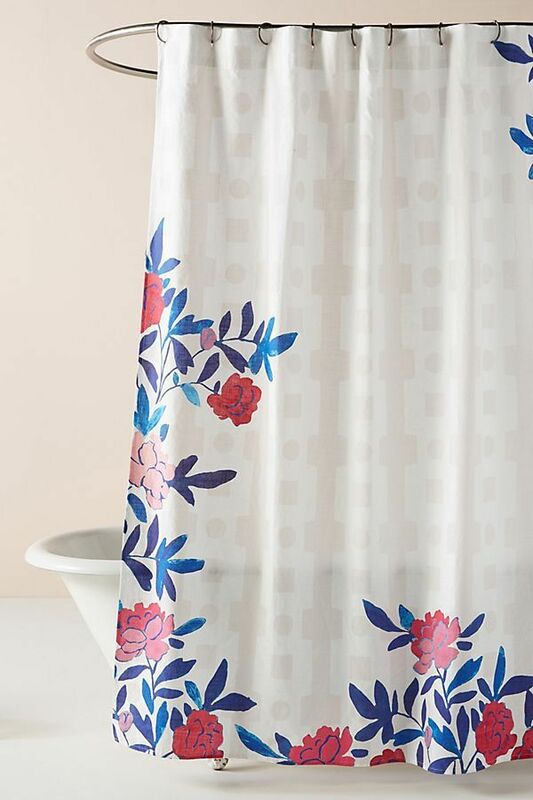 For the bathroom, a shower curtain with just a hint of a floral print. We love the way the flowers just barely line the edges of the otherwise plain white material. 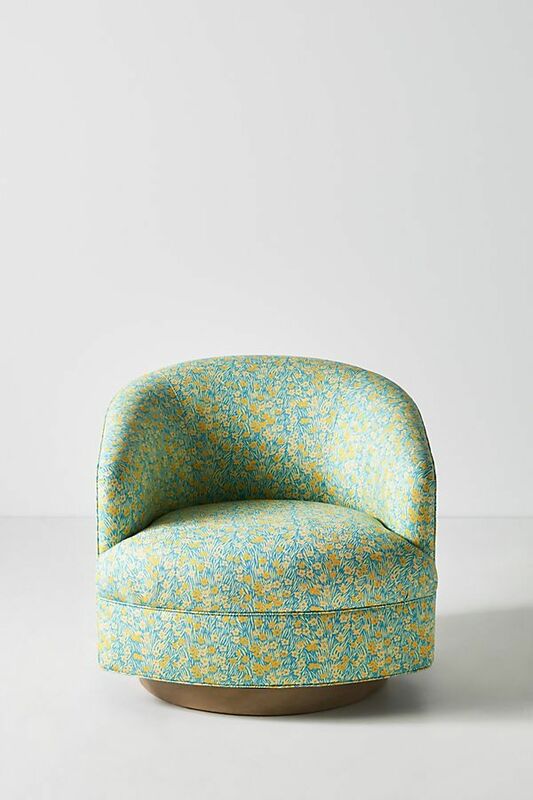 The light green swivel chair with a small floral print has just the right pop of color to draw the eye. The greens, blues, yellows, and oranges all blend together in a way that makes you question what the pattern really is until you get up close. This playful lampshade is sure to put a smile on your face everytime you turn it on. The darker pattern displays squirrels, leaves, and delicate flowers. 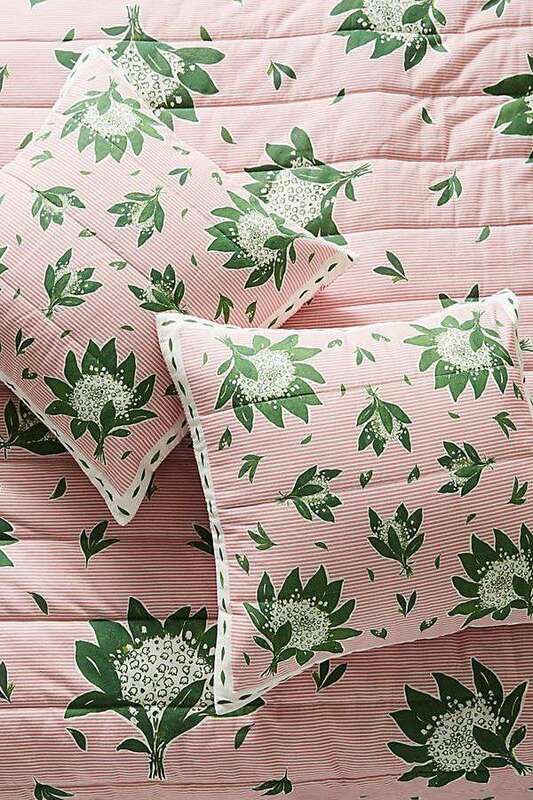 These pink and green Euro sham pillowcases will spruce up your bedroom. It will feel like spring all year long. This pitcher with a simple floral trim was made for spring and summer entertaining outside. Fill it with a cocktail or a sweet tea and serve it to guests at a backyard gathering. 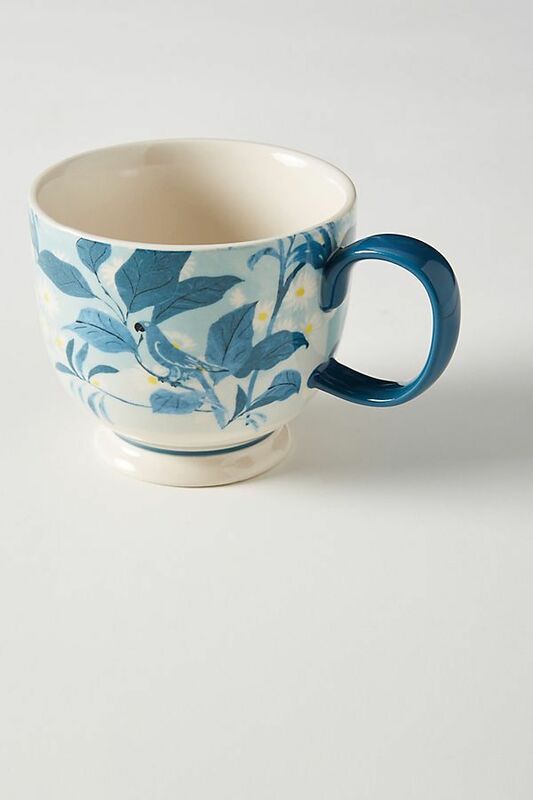 Perfect for sipping tea or your morning coffee, this blue mug could fit into anyone's mug collection. 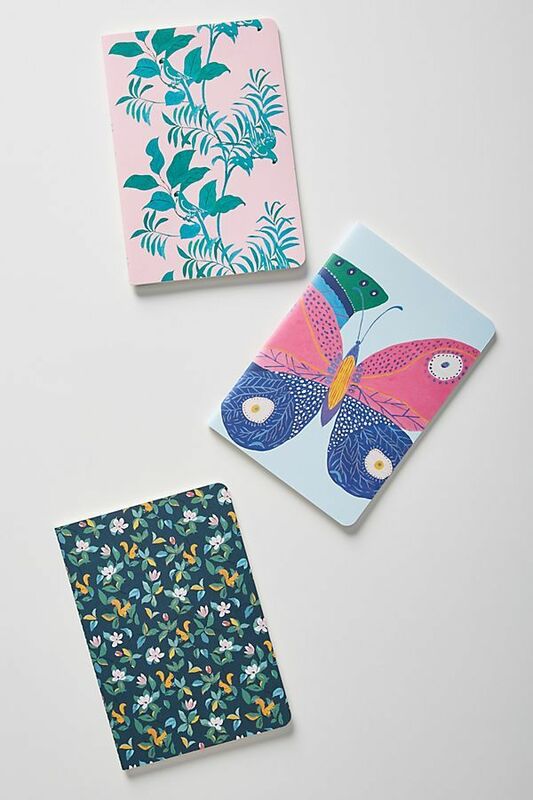 If you're not quite ready for such maximal design throughout your home, these journals featuring Marrots designs will do the trick. They're perfect for keeping track of to-do lists or simply reflecting on the day.